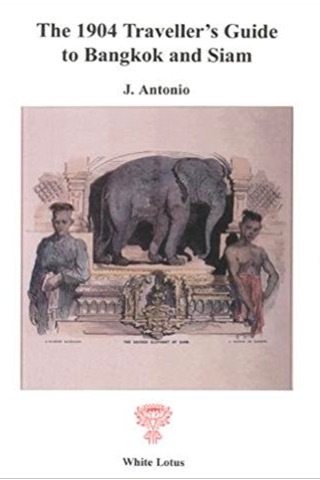 Falling firmly into the “you should have been here yesterday” genre of travel guides, J. Antonio’s book offers a quirky, interesting look at the Thai Kingdom during the years of Chulalongkorn’s reign. The introduction suggests Antonio was a professional photographer of Portuguese descent living in Bangkok at the turn of the 20th century. As with modern-day guidebooks, Antonio’s efforts include a historical brief, transport (no airport section! 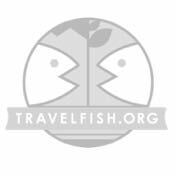 ), a look at cultural practices and festivals and, of course, coverage of the Siamese capital along with some excursions one could take. The book is illustrated with some excellent photographs (we assume all Antonio’s work), which save the occasional pith helmet are often timeless. Photos of an elephant round-up in Ayutthaya, Wat Cheng (current day Wat Arun) in Bangkok and a swathe of rural photos with buffalos working the fields could have been taken yesterday. Others are striking in demonstrating the changes that Thailand has undergone over the last century. There's a panorama overlooking the Chao Phraya in Bangkok with nary a building over four storeys high, and an amazing photo of the wooded hill playing home to Wat Saket, all surrounded by khlongs and sampans. We initially thought the ruins at both Sukhothai and Lopburi were from Angkor rather than Thailand. Antonio’s work though is at its finest when looking at the people of Siam. Traditional massage, making palm-leaf books, spinning silk, classical music and dance are all largely unchanged from today, often dated only by the women mostly wearing their hair short, as was the custom of the day. The book is more than just a collection of photos though, and his comments are equally interesting. He bemoans the passing of the cricket club “owing to the number of counter attractions” but is very upbeat on Siam’s hunting potential, noting “although the elephant may in no wise be shot he will find rhinoceros, tapir, sladang, buffalo, tiger, leopard, fishing-cat, bear-cat, leopard-cat, palm civet, sloth bear, goat antelope, barking deer, Schomburgk’s deer, sambhur, brown antlered deer, scaly ant-eater, hare and crocodile.” Imagine what would have been left if the cricket club had stayed open? The sights and attractions in general reflect the different style of travel of the day. There is a focus on railways, factories, workshops and mills. The post- and telegraph-offices are must sees, as are the churches—even the prison gets a mention. For “lady visitors” keen on some shopping, we’re pointed to "Badman and Co., J. Sampson and Son., and the Bangkok Outfitting Co., all in the City ... while the Indian pinwallah and Chinese tailor abound.” Move over Nancy Chandler. “Another is Wat Saket where in former years the bodies of poor people who were without relatives were exposed to the pariah dogs and vultures in the temple court-yard. ... A carcass lying exposed is wonderfully stripped of its flesh by the voracious and gruesome looking birds which gorge themselves almost until they are unable to fly." In travelling out of the capital, Antonio hits upon a still jungle-surrounded Ayutthaya, riverside Ratchaburi and the caves of Phetchaburi (among others). He doesn’t make it to Chiang Mai on account of the expensive (15-20 ticals a day was apparently a lot) trip by either boat or elephant. He also notes that it takes as long to get to Europe. So with an elephant trip to Chiang Mai coming in at 20 tical a day, you’re talking about 2,560 salots. You might need another elephant to carry the loot (or just carry ticals—that’s what we do). By comparison a train from Sam Sen (in Bangkok) to Lopburi costs 6 ticals (first class)—yes the guide also has fare charts for the trains. If you were to try to use The 1904 Traveller's Guide to Bangkok and Siam as an actual guidebook, as with old editions of any guidebook, the prices would be a bit off and a few hotels will have closed—we’re intrigued about the frequently mentioned Hotel De La Paix on Charoen Krung and what became of it. In other aspects however, this remains a useable guide. If nothing else, you could rest assured you wouldn't bump into other travellers using the same edition.